Abby's sick of being the only Hayes with hand-me-downs. She wants some Rollerblades of her own! But first she'll have to earn some money, which isn't as easy as it sounds. Abby cat-sits and sells lemonade. She even searches sidewalks for spare change. She should have enough to buy the blades--but Abby can't stop spending her profits! 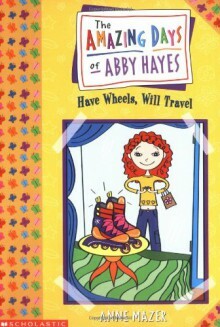 Will she ever get the Rollerblades of her dreams?